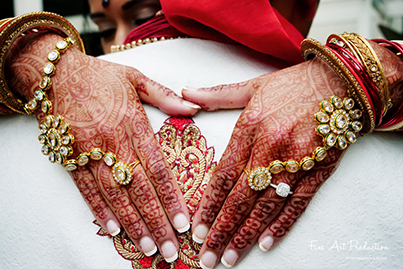 Marriages are made in heaven, but weddings are made on Earth! 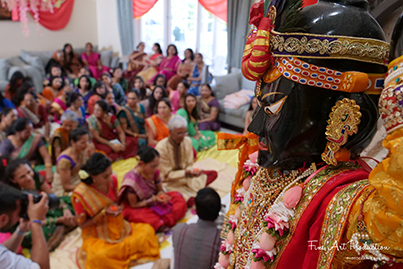 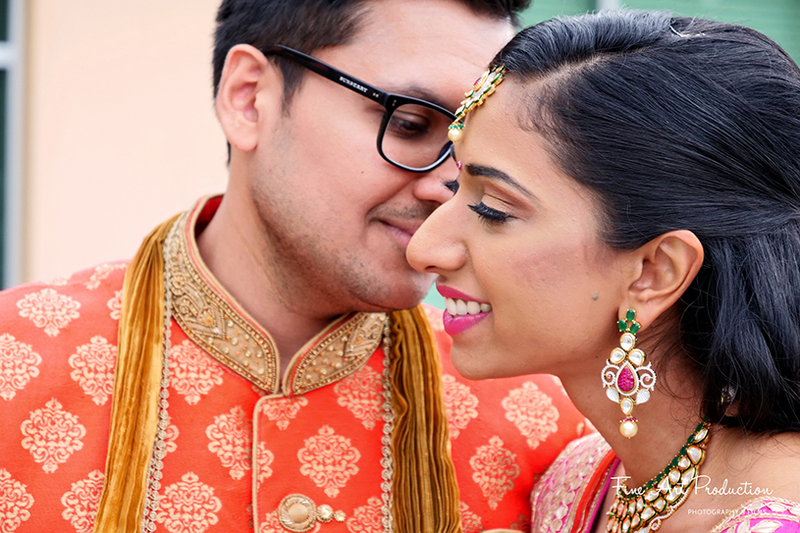 Neha and Hemang’s wedding, like any other, was experienced on Earth, but the celebration was filled with so many beautiful moments that the occasion was out of this world. 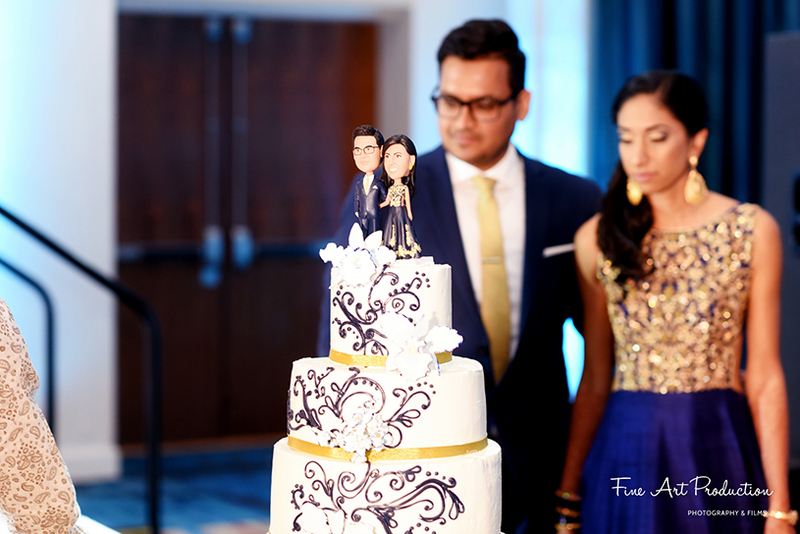 From a fun photo booth with a scooter at the entrance and a swing for the couple to a bobblehead cake topper that looked like the couple, their wedding had it all. 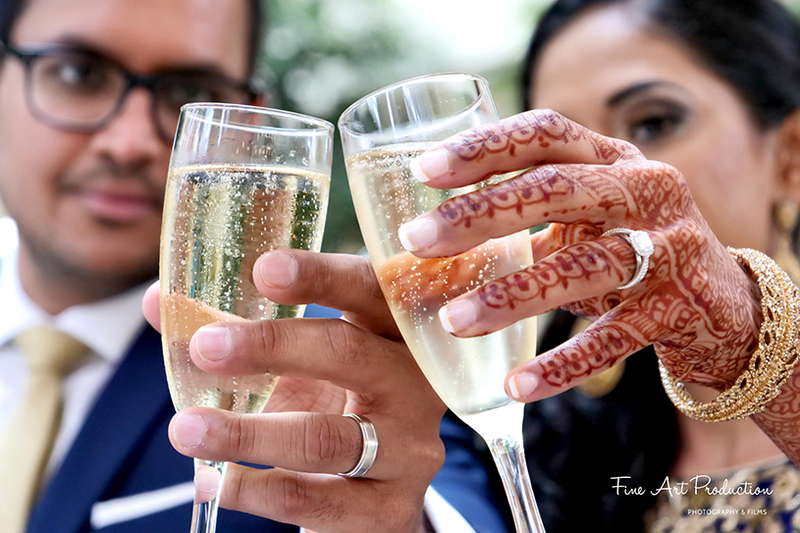 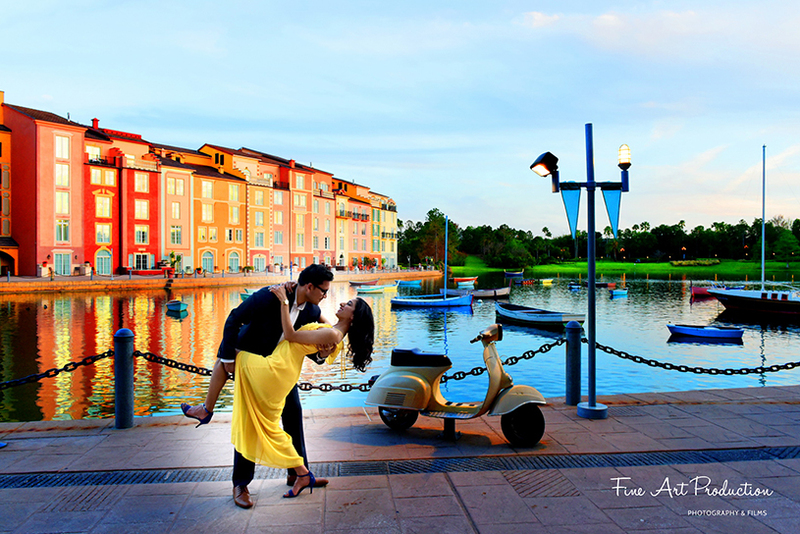 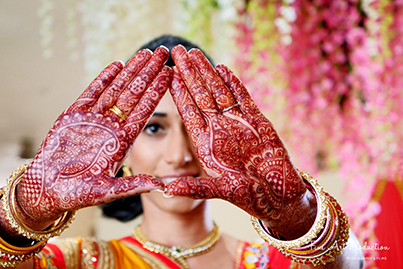 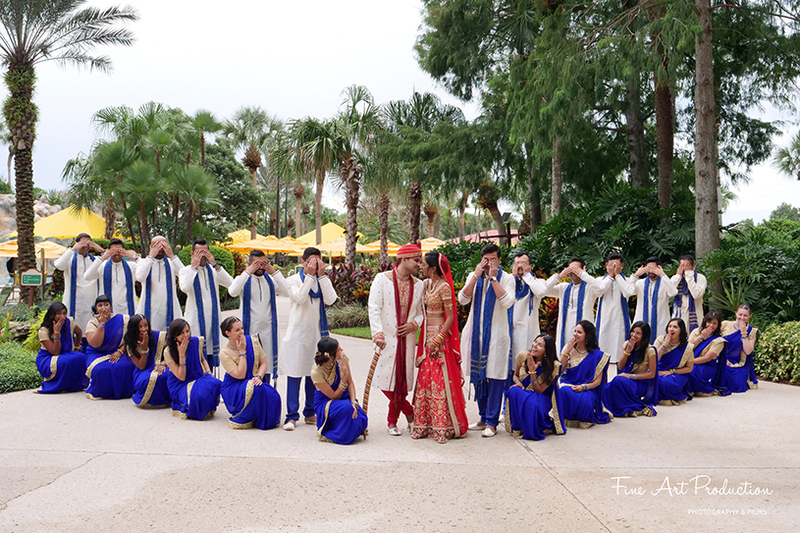 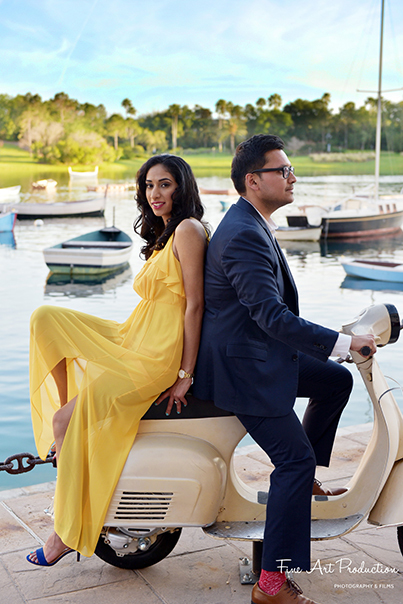 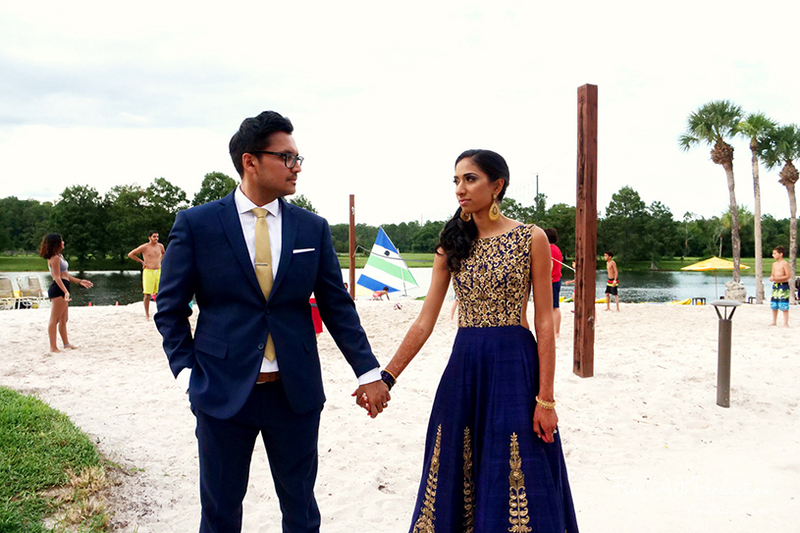 Neha Delvadia and Hemang Suthar got married at the Hyatt Regency Grand Cypress, Orlando, Florida. 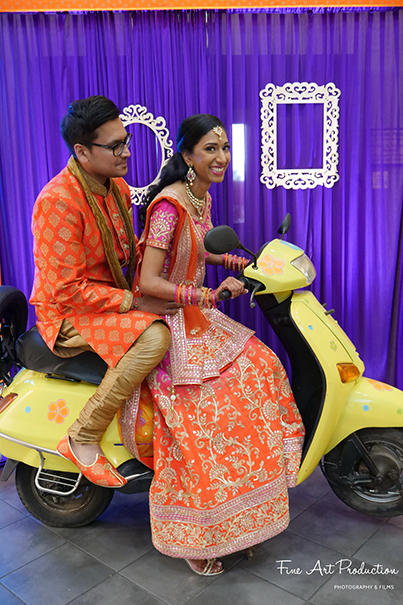 Since it was a summer wedding, they chose an indoor venue to be sure their guests were comfortable. 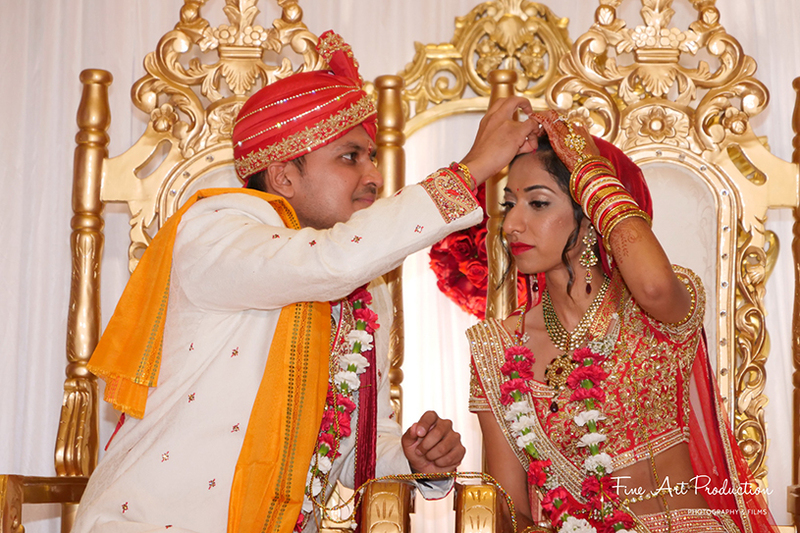 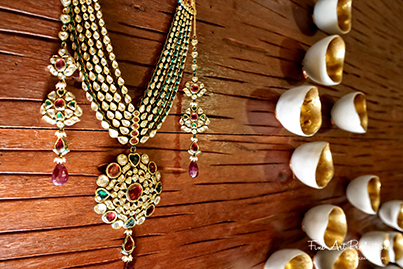 Their mandap and décor had a traditional touch, with a raised aisle decorated with flowers and candles. 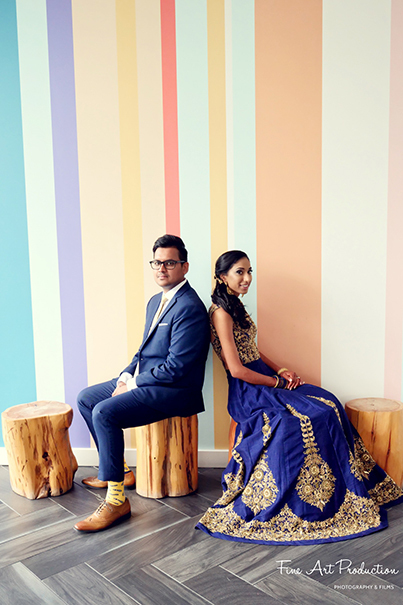 For this fun-loving couple, music and dance was a big part of their celebrations. 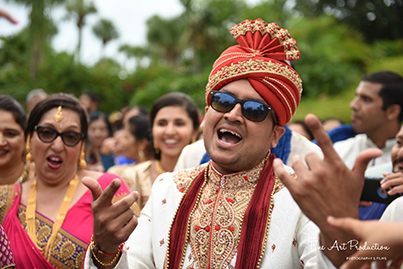 While the groom made his way to the venue to “Tenu Leke” from Salaam-E-Ishq, the bride entered to “Din Sagna Da.” For the reception, the DJ played a combination of English and Indian songs to make sure that all of their guests enjoyed themselves. 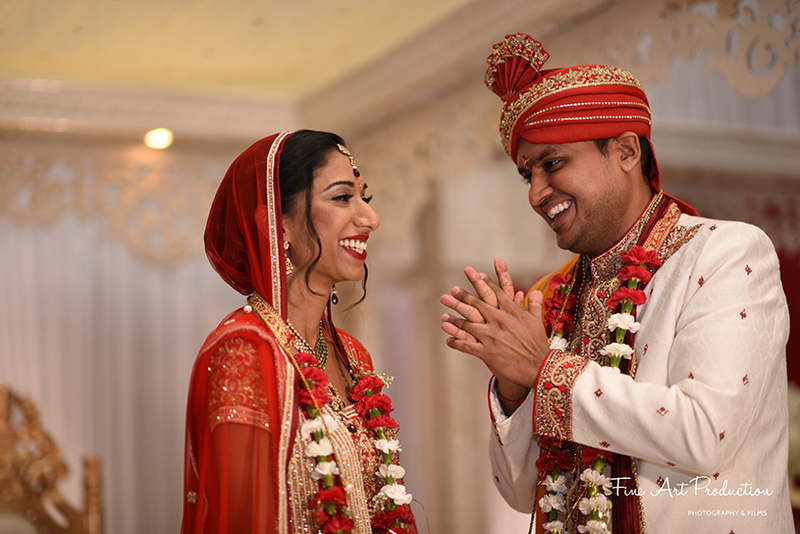 For their first dance, the couple chose a medley of three songs: a romantic Hindi tune that transitioned into a Bhangra Ed Sheeran remix. 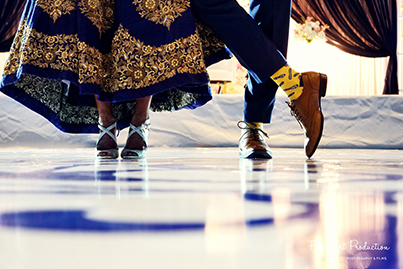 Their family and friends also planned special dance performances. 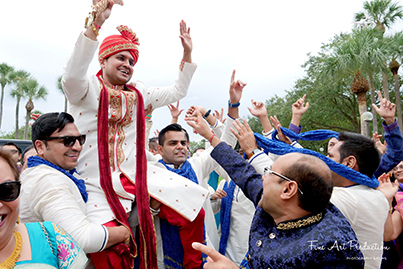 The groom himself even made a special guest appearance in a dance performed by his groomsmen. 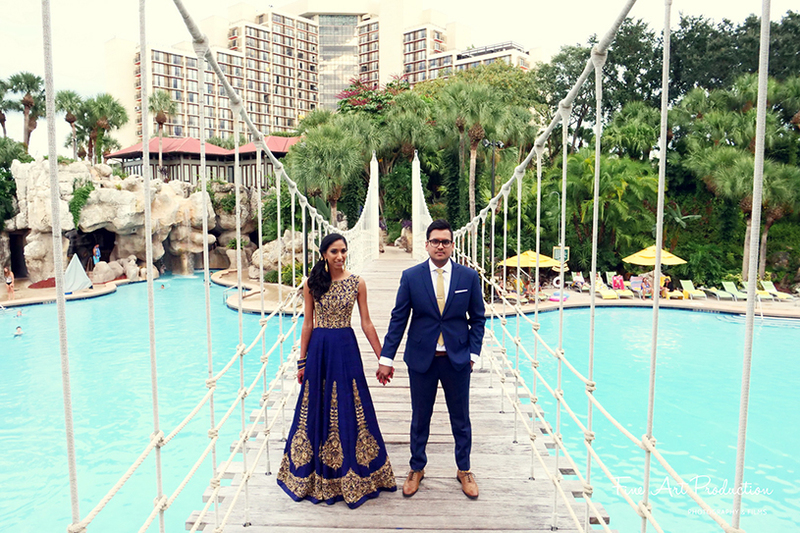 Neha and Hemang had a poolside cocktail hour so that guests could enjoy a gorgeous sunset view. 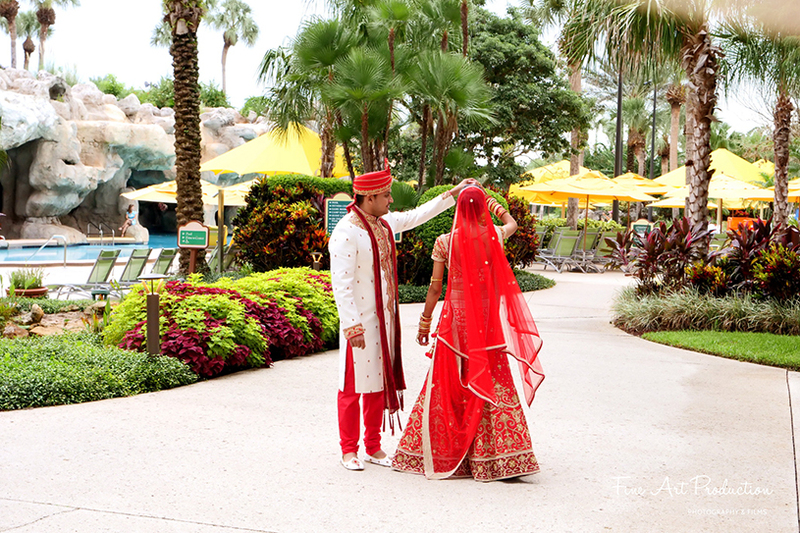 The reception decor featured an elegant, floral look. 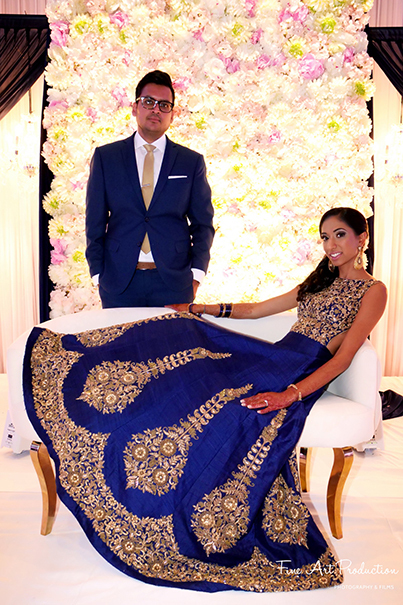 The stage was decorated with a floral backdrop with midnight blue curtains. 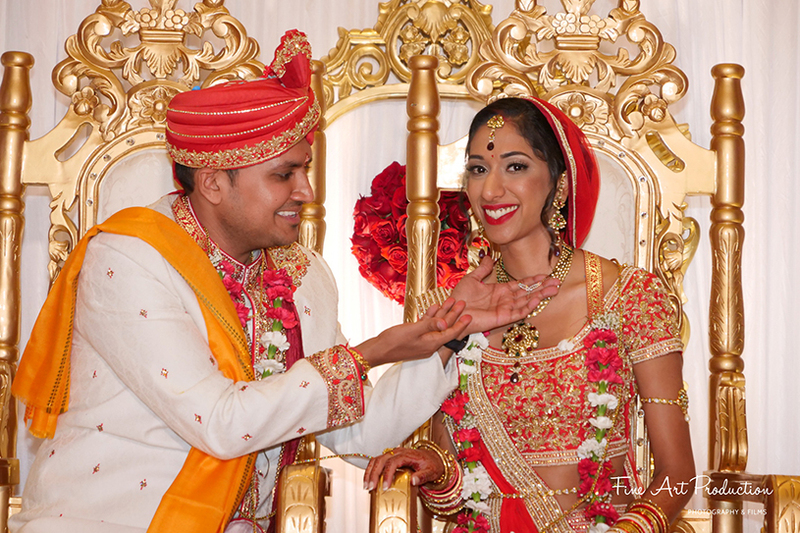 After the vidaai, the newly married couple left on a decorated red golf cart!. 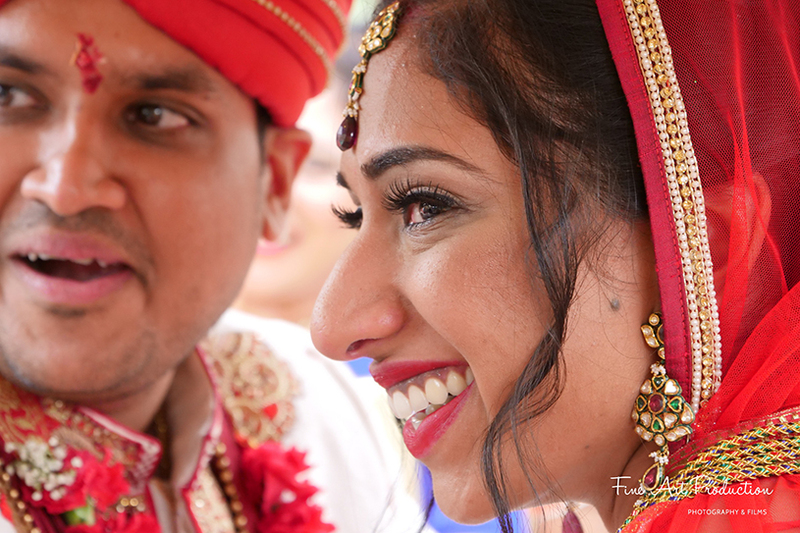 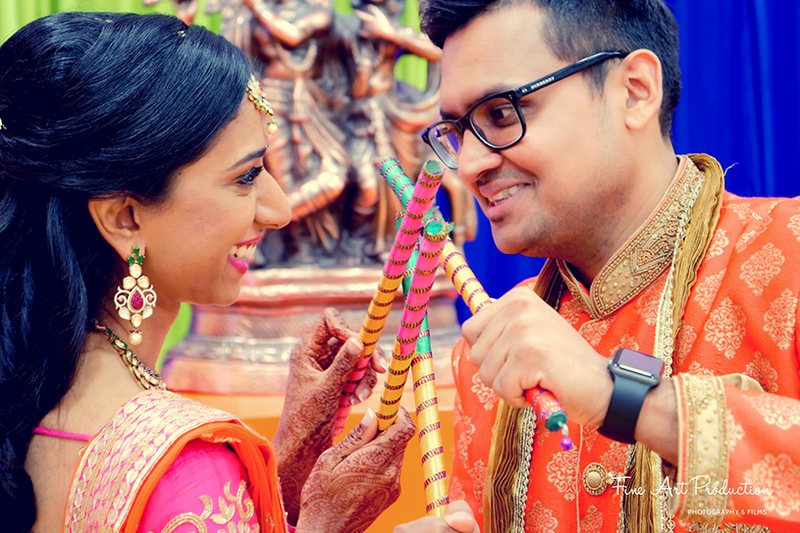 Along with their beautiful wedding story, Neha and Hemang also shared advice for other couples planning their wedding. 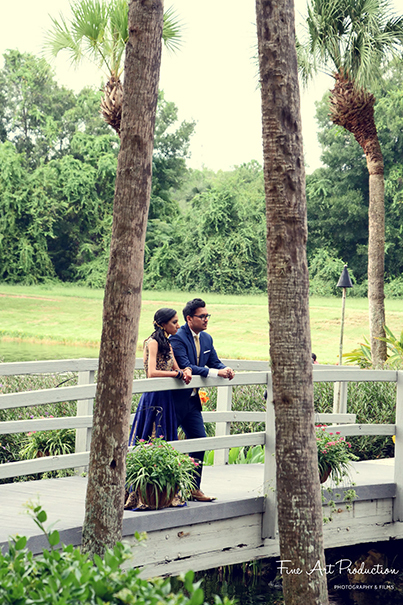 “Months of preparation and planning come down to the big weekend that goes by so fast! 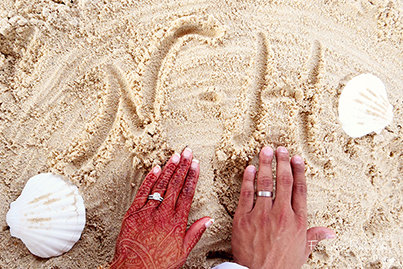 So, make sure to take time to enjoy yourselves. 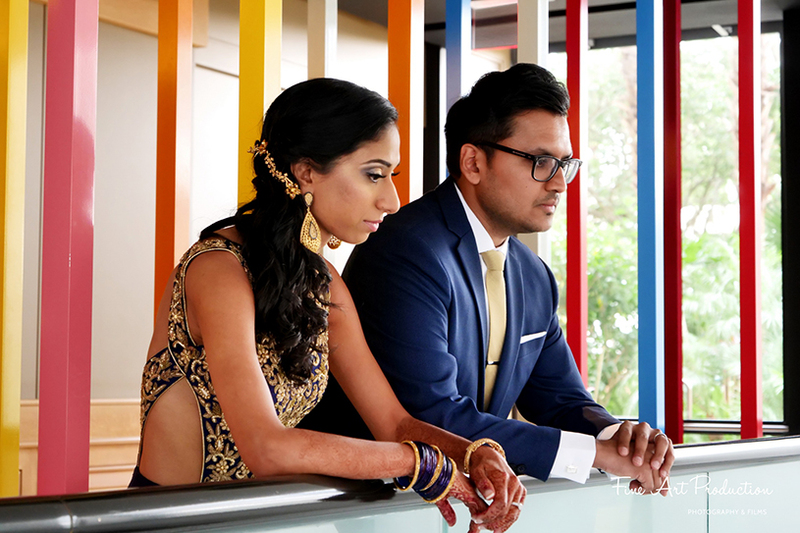 Try to delegate duties so you don’t stress yourselves. 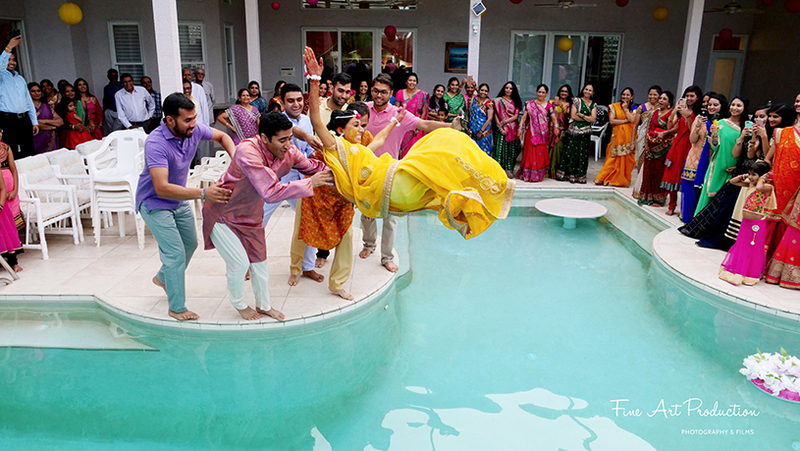 At the end of the day, the most important memory will be of “the one” you are marrying,” they said.